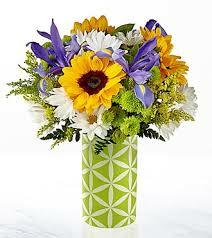 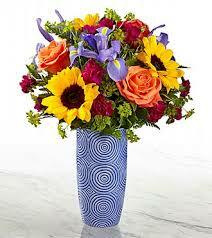 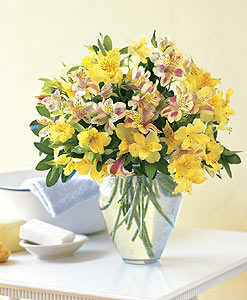 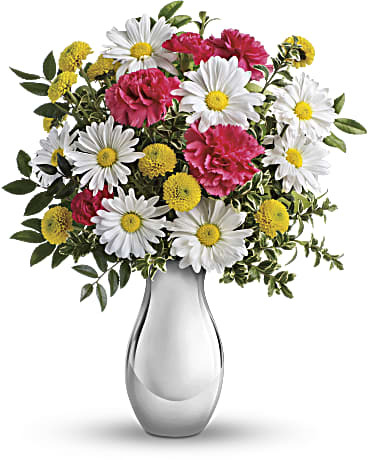 Imagine how tickled she’ll be when this sweet bouquet comes her way! 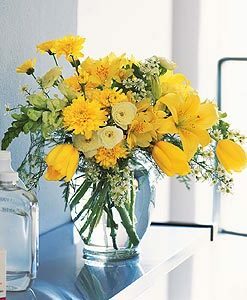 Arranged in our shimmering Silver Reflections vase – a gift she’ll adore for years to come – this cheerful mix of peach roses, golden lilies and crisp white daisies is a bright reminder of how much you care. 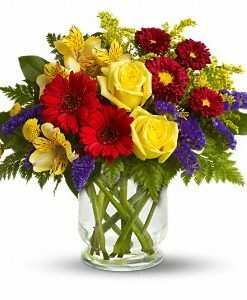 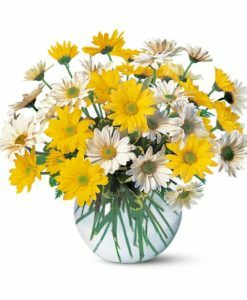 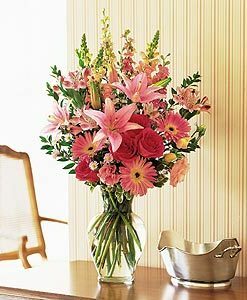 Beautiful peach roses and yellow asiatic lilies, hot pink carnations and miniature carnations, white daisy chrysanthemums and yellow button chrysanthemums are arranged with fresh huckleberry and oregonia. 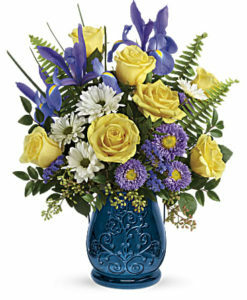 Delivered in a Teleflora Silver Reflections vase.